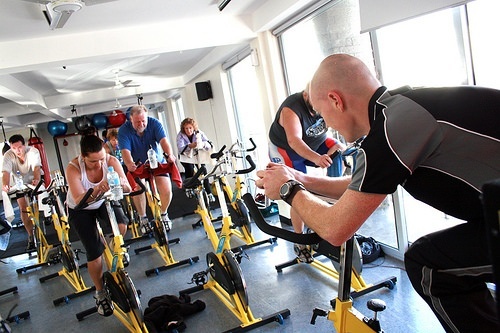 A longtime fitness instructor ended a vigorous cycling class early due to severe knee pain. Her doctor diagnosed her with a serious tear in her knee due to overuse. Two surgeries later, the instructor still couldn’t teach all of her usual classes and, unfortunately, was in pain even outside of class. Fitness instructors are passionate about their jobs and their personal health. This is what makes them such good motivators; not only do they “talk the talk,” but they “walk the walk.” Passionate instructors tend to go above and beyond while teaching classes. However, they’re at risk of serious injury if they teach too many classes or overdo it while teaching. Scheduling group exercise classes at a busy organization is a challenge. Group exercise classes add value and often convince members to join the facility in the first place. It’s easy to see why fitness directors try to offer as many classes as they can. On the other hand, if instructors teach too many classes they set themselves up to get hurt. 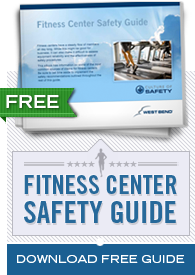 While many fitness employees are in great shape, this doesn’t make them immune to injuries. It’s important for supervisors to know how many and what kinds of classes their instructors are teaching. Subbing or swapping classes between instructors is very common. Instructors should not be teaching the same class, using the same muscle groups, multiple times a day. Instructors need to get enough rest between classes to allow their bodies time to heal and repair. By monitoring their instructors’ schedules, supervisors can see which employees are setting themselves up for an eventual injury and step in to make changes. In addition to monitoring how many classes each instructor teaches, fitness directors can emphasize that instructors should teach their classes instead of focusing on their own workouts. While instructors must demonstrate and explain exercises, they can do this while still keeping their own intensity levels low. Instructors are never extremely out of breath. Instructors spend at least 40% of the class walking around and assisting participants. Instructors do not lift very heavy weights. Instructors perform a low impact option whenever possible. Competent instructors should be able to demonstrate the exercises and then cue the participants while keeping their own heart rate and intensity levels down. Moreover, instructors can reduce participant injury by ensuring members are doing the exercises correctly. By participating moderately, instructors can impart their fitness knowledge to class participants while still staying healthy.